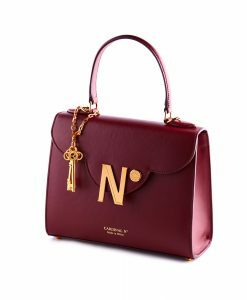 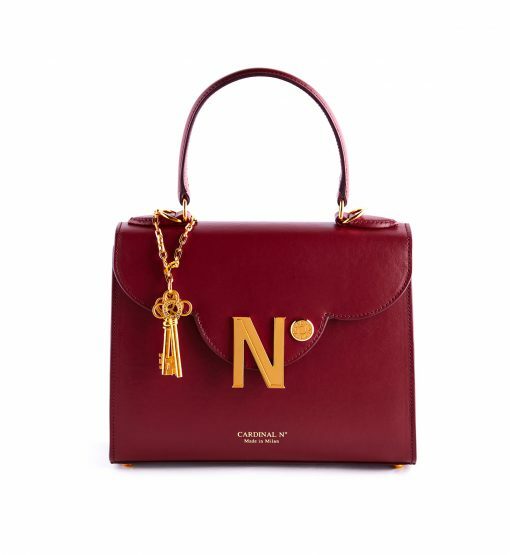 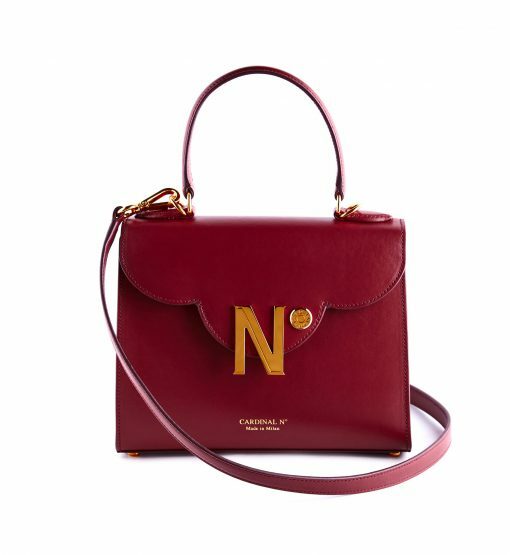 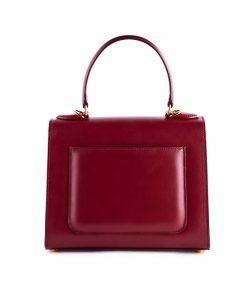 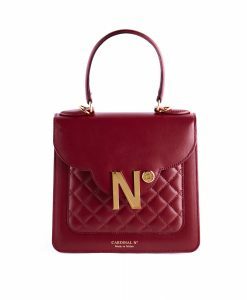 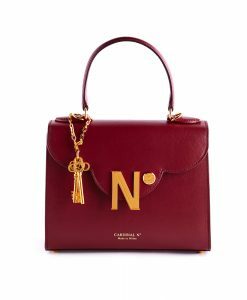 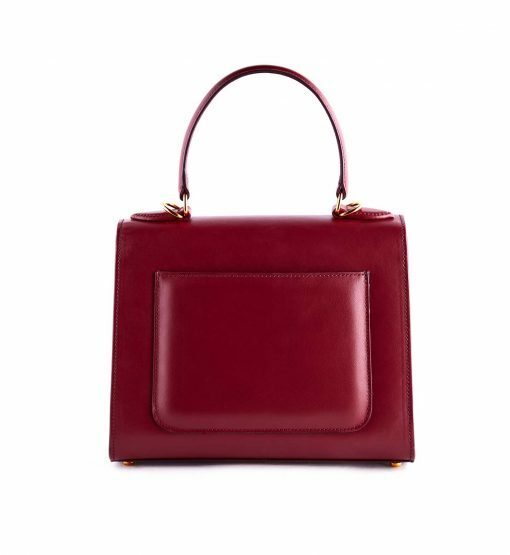 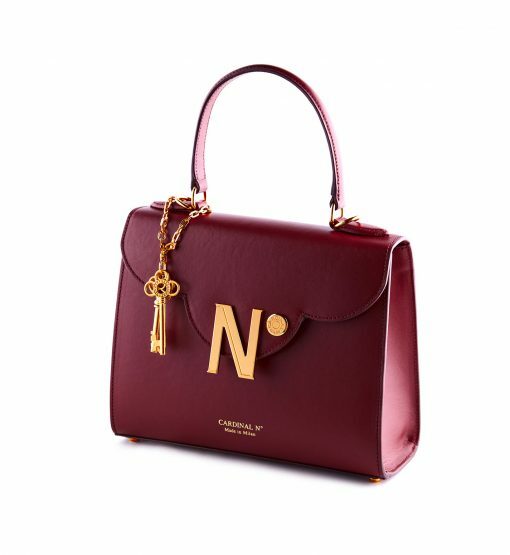 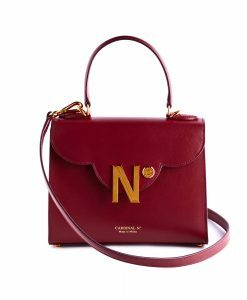 Iconic CARDINAL N° ‘First Lady’ bag has a structured, ladylike shape. 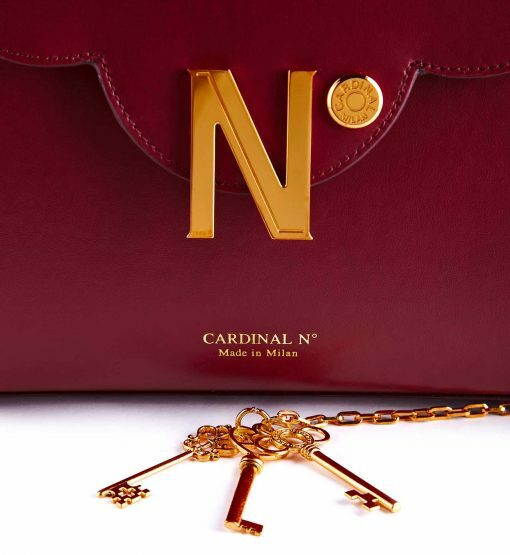 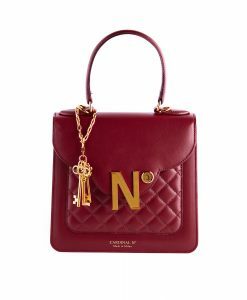 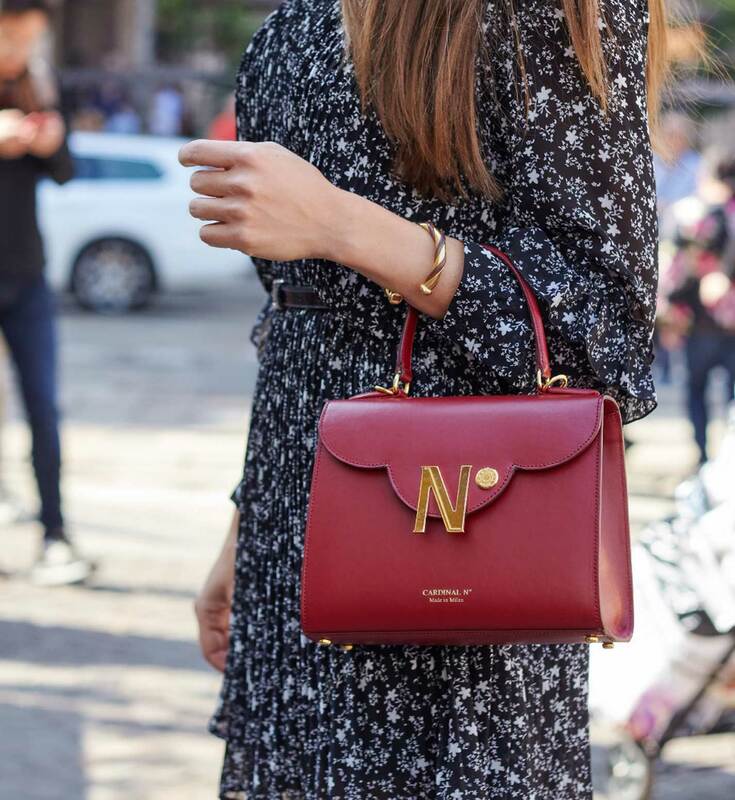 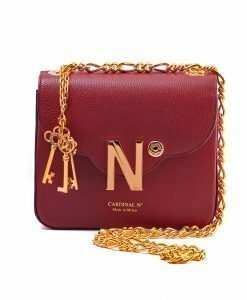 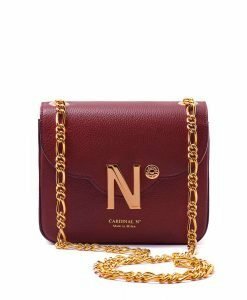 This cross-seasonal accessory is handcrafted in Milan from smooth leather in rich ruby red hue, embellished with 3 detachable golden keys and detailed with a golden number N° symbol. CARDINAL N° bags have a modern architectural feel thanks to a trefoil flap – characteristic detail of Milan gothic architecture. The bag is roomy enough for your essentials like wallet, phone, keys and make up. Carry yours by the top handle or leather strap.